The third expression of The Balvenie Tun 1509 is being released in global markets this July, with less than 9,000 bottles available. The annual no-age-statement release is a unique vatting of casks married together for a periof of months in the Speyside distillery’s Tun 1509. Batch 3 is comprised of 31 casks: 12 sherry butts distilled between 1989 and 1992; 11 American oak hogsheads distilled in 1989; and eight refill American oak butts distilled in 1992 and 1993. Only the cask numbers and tasting notes of each cask type are printed on the label. The casks are married together in the tun before being bottled without chill filtration at 52.2% abv. David Stewart, Balvenie malt master who was awarded an MBE earlier this year, said he hoped Batch 3 would gain as much recognition as the series’ two previous expressions. ‘We have been overwhelmed by the positive reception and recognition that Batches 1 and 2 of Tun 1509 have received from the industry,’ he said. Balvenie Tun 1509 Batch 3 is limited to 8,850 bottles, which will be distributed globally from July at an RRP of £260. 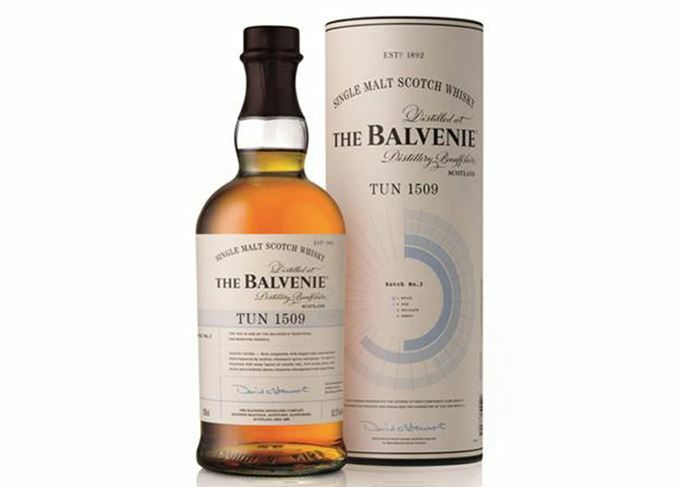 The annual Tun 1509 release was introduced in 2014 to replace The Balvenie’s popular Tun 1401 expression. The Balvenie Fifty: Marriage 0962 has been created from some of the distillery’s oldest stocks. Bids of over $150k are expected for the latest DCS Compendium and Balvenie Morgan Roadster.